Composer/Arranger/Producer. While at Waseda University, she debuted as the keyboardist for the rock band Tetsu 100%. After the band broke up, she began composing, arranging, and producing. She has worked with various artists such as SMAP, Miki Imai, Maaya Sakamoto, Kyoko Koizumi, T.M Revolution, Shione Yukawa, and Chitose Hajime. Alongside that, she has won numerous advertising music awards from commercial jingles. She has also worked for many animation soundtracks. She has fans all over the globe. In 2005, the song “Genesis of Aquarion”, the opening theme song for the animation “Genesis of Aquarion”, which she composed and arranged became a huge hit. 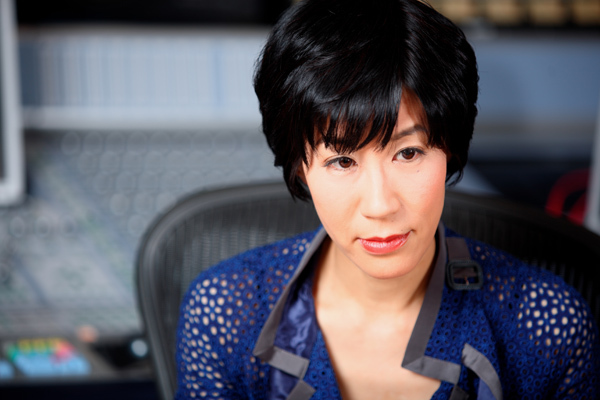 In 2012, she again worked with the soundtrack for the sequel, “Aquarion EVOL”. On July 25th, released the album “LOVE@New Dimension” which featured the theme songs for both titles.